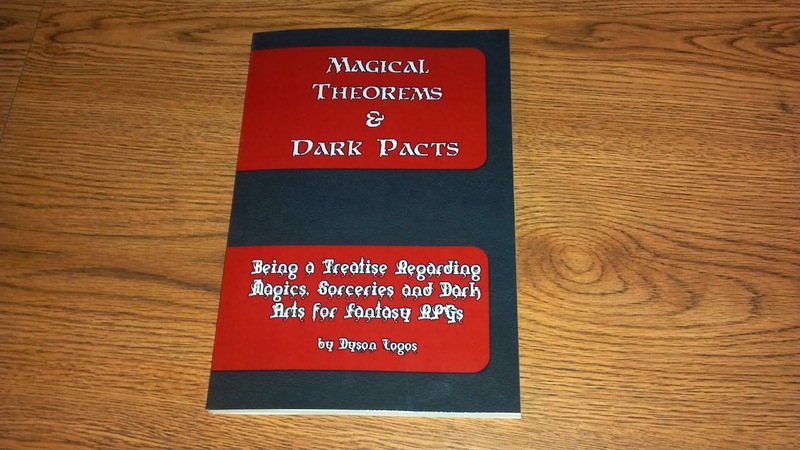 A while back I reviewed the PDF of Dyson Logos Magical Theorems and Dark Pacts. Since I enjoyed it so much and can't get enough spells or spell casters I picked up a print copy from Lulu. 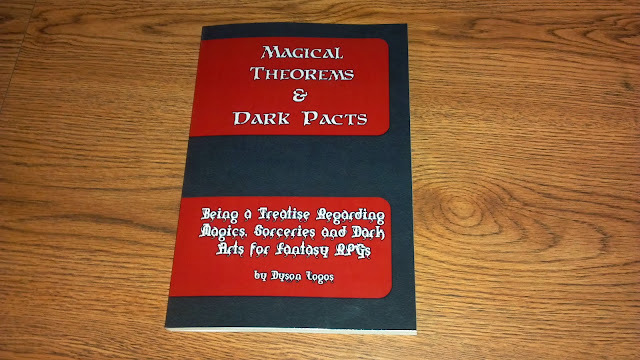 It is a great looking little book to be honest. 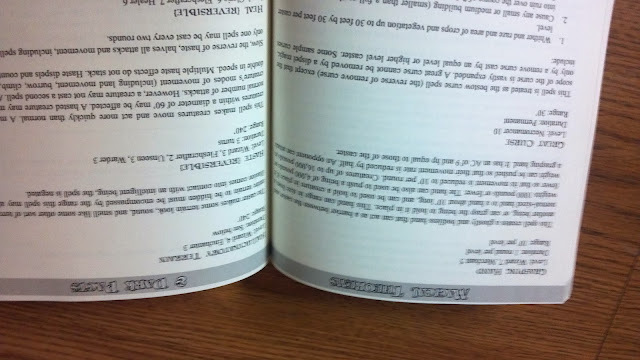 Excuse the upside down picture, but it does show that the text is crisp (it's the camera that is blurry) and the print is near offset. Lulu is getting better and this is really opening up a lot avenues for the small press publisher. I wanted to add this to show the relative size. 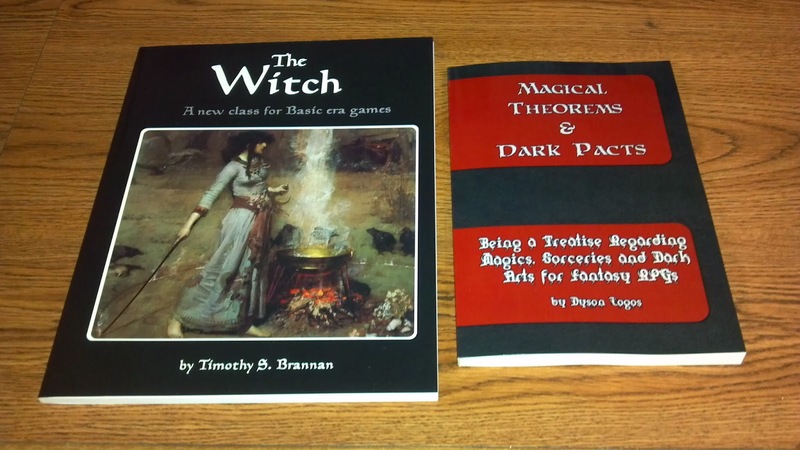 I plan on using the books together anyway. 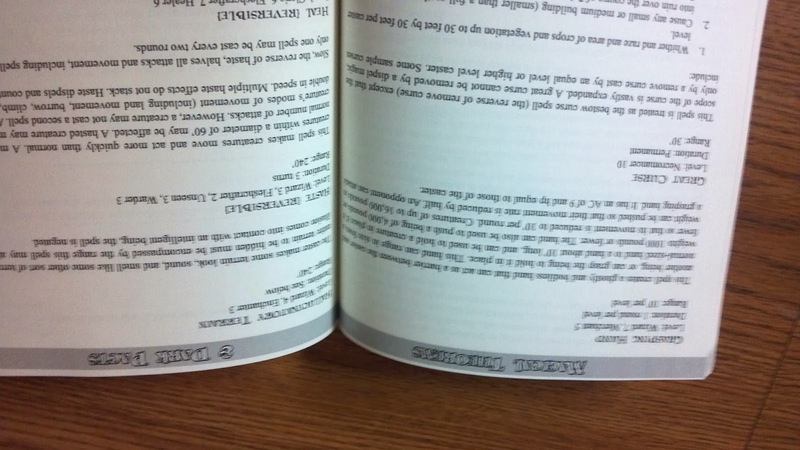 Actually it is more compatible with this book. 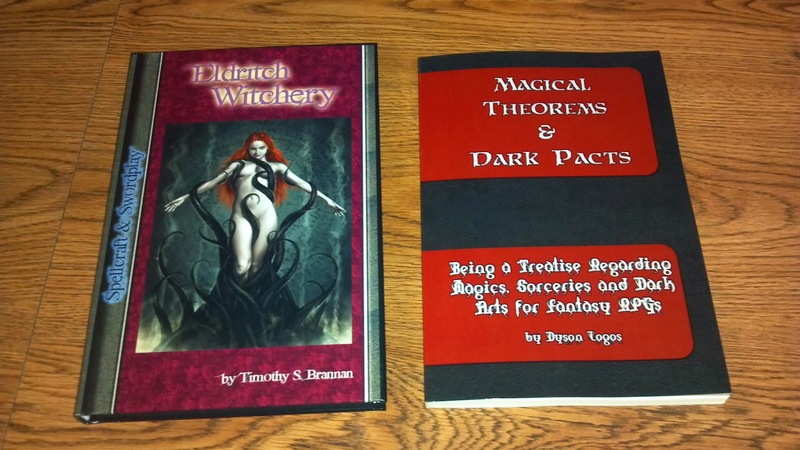 The wizards in MT&DP are powerful ones, so using them with any gritty game (like Spellcraft & Swordplay or Astonishing Swordsmen & Sorcerers of Hyperborea) isn't going to work out as nice. I am happy I picked this up.